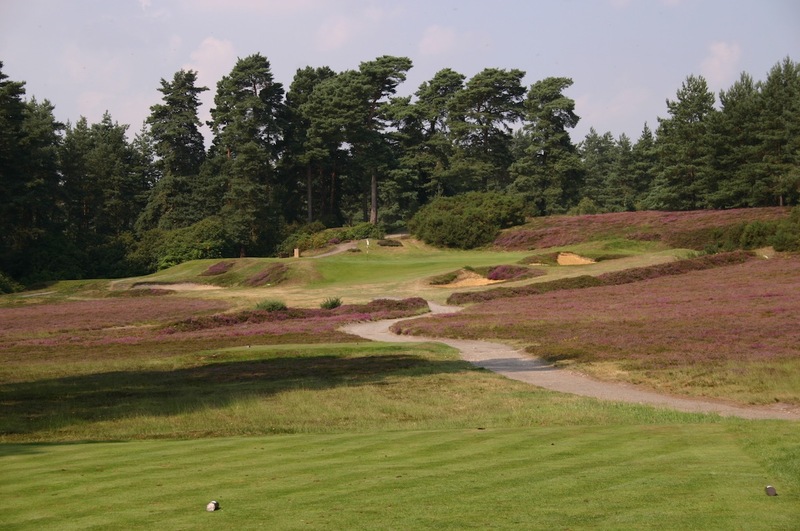 Located in the heart of the Surrey-Berkshire Heathland, the Swinley Forest Golf Club is one of the purest examples of classic inland golf in all of Europe and perhaps, even more impressively, one of the best few courses by master designer Harry Colt. A private members-only club, it was formed by Lord Derby, a minister of the crown during the reign of Queen Victoria, who was once late for an appointment with Her Majesty at Windsor Castle after being held up by a slow foursome at Sunningdale. 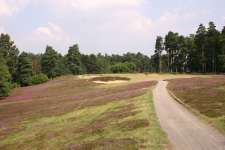 When the Queen enquired as to why a man of such means could not own his own course, Lord Derby responded by forming an exclusive club and handing Colt, who was still serving as Secretary at Sunningdale, a piece of land he had purchased within the greater Swinley Forest for the building of his new course. A heathland setting of rare beauty, privacy and tranquility, Swinley Forest was also blessed with enough interesting ground movement to allow Colt to create exceptional golf holes. 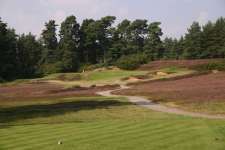 He apparently started the design process by first locating green sites for his short holes and then routing the rest of his layout around these areas. 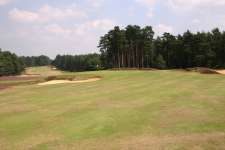 With extraordinary vision and variety he built a world famous set of par threes, carefully spacing them through both nines and including a long-iron into a natural shelf at the 4th, a ridge green with a steep fall off at the short 8th, a fairway wood across a deep valley on the long 10th and finally a mid-iron into a beautiful pushed up knoll at the 17th. That he found five short holes as attractive and diverse is a credit both to his skill as a designer and the suitability of the site for golf. 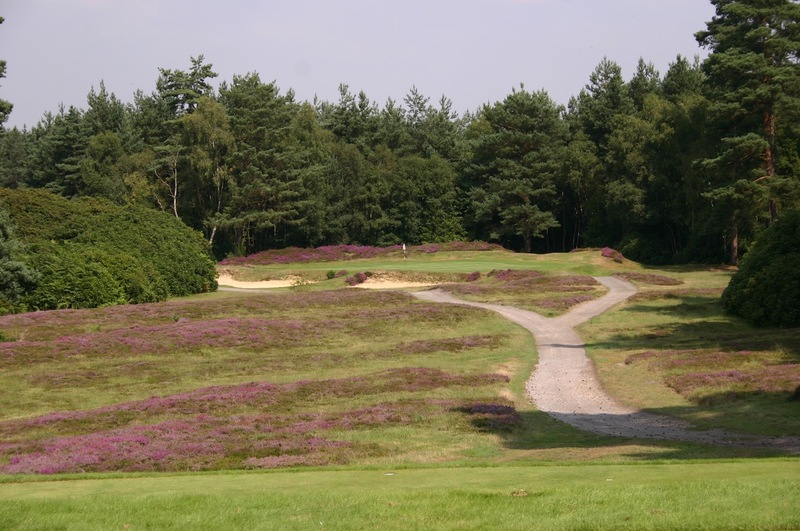 Yet while these moments steal most of the headlines, longer holes such as the 6th, 7th, 9th, 14th and 15th are also fantastic. As is the incomparable 12th hole, one of the greatest two-shot tests in golf, the drive needing to draw and the approach fade to negotiate the heather, pines and rolling fairway in order to reach a severely contoured green set into an elevated bank. 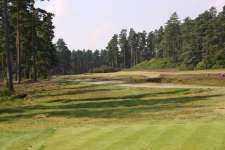 Despite being cut through impressive forests of pine and birch, Swinley enjoys a special feeling of spaciousness as the trees rarely interfere with play and the holes are instead dominated by a hearty cover of heather, which provides definition to the fairways and beautifully frames the green sites. 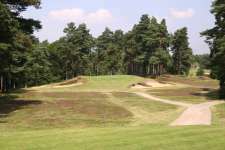 The intricate putting surfaces, positioned in a variety of superb natural areas, are a feature throughout the layout as are the rippled and bumpy ground contours that create uneven bounces and varying stances to further complicate approach play into these tricky targets. Steeped in the traditions of early 20th century golf and once described by Colt as his ‘least bad course’, Swinley Forest is a layout of rare quality and one that even the most seasoned golfer will feel privileged to have played.